If you are in the market to replace your outdated imaging equipment and want to buy best portable ultrasound machines, it is important for you to choose equipment that is suitable to your budget and your work environment. The conventional ultrasound machines are quite heavy and bulky with a common install base being hospitals. Thus, to make the things simpler for the small hospitals or clinics the portable ultrasound scanners are beneficial so you can carry them around the premises adding to the convenience of both the patients and professionals. Portable ultrasound machines are quite viable as they can be carried easily around the medical institution premises to ensure timely and fast treatment from ultra-portable to small cart-based mobility. They are mainly used in vascular, cardiac, endocrinology, radiology, veterinary, OB/GYN and pediatric cases. Some of the advantages of portable ultrasound machine include ease to patients, immediate diagnosis, and reduced diagnosis cost. Whether you buy Samsung ultrasound machines or buy Philips new ultrasound machine, the cost is a major factor. Apart from the initial cost also, consider its maintenance. Take into account how much consumable and replacement parts cost? Consider how your purchase price compares to other similar machines in the market? As a word of caution, don’t go for the cheapest option unless options/features or ultimate longevity are not as important; rather look for the portable ultrasound machine that is well-equipped with the latest features. Frequency: The frequency of the ultrasound machine is inversely proportionate to how deep will the waves penetrate. A rule of thumb, the higher the frequency (10-16MHz), the more superficial imaging, the lower the frequency (1 or 2MHz), the deeper the penetration. Power output: It is an important factor, and it is suggested to use machines with lower power settings as higher power output can cause burns to the tissues or epidermis. Other features that you must look out for are imaging, CW Doppler, DICOM system, 3D/4D option, and color Doppler, among many newer features like HDLive, Matrix, Live 3D Echo. When you buy portable ultrasound equipment, whether refurbished or new, think about how often it is going to be used. Also, pay heed to the environment in which it will be used. The circumstances in which the machine will be used will determine the product of features you require to get the job done effectively. This is where speaking with your technicians helps. They can provide you with valuable insight into product features that are helpful to meet patient’s needs or better facilitate their own productivity. Consider the skill levels of all your technicians before you buy new portable ultrasound machines. If you are considering investing in advanced CT machines, for instance, think about the required additional training that is necessary to properly use the equipment. You also have to factor in how to optimize in clinical protocols. Ask ultrasound machine providers if they provide online, offline training, and if on-site training is available also at an added cost. When you buy ultrasound scanners, look at the duration of the manufacturer’s warranty. This varies from manufacturer to manufacturer. In other words, when you buy Samsung ultrasound machines or when you buy Philips new ultrasound machines, the warranty duration may vary for both. After the expiration of the warranty, consider the service conditions and contract terms and at what cost these are provided. Look at the duration of the service contract as well as for auto renewal clauses. What is the cancellation fees, guaranteed response times, parts costs etc.? It is best to talk to an expert before signing the contract. If you find something not favorable, you can always negotiate. Spend as much time as you need because once the service contract is signed, you will lose your negotiating leverage. Both are bundled into terms and conditions when you purchase a costly service contract. Organizations always have better alternatives to typical service contracts; therefore it helps to negotiate alternatives to system updates and technical support while you are purchasing costly diagnostic equipment. You may have access to technical support via a toll-free number. 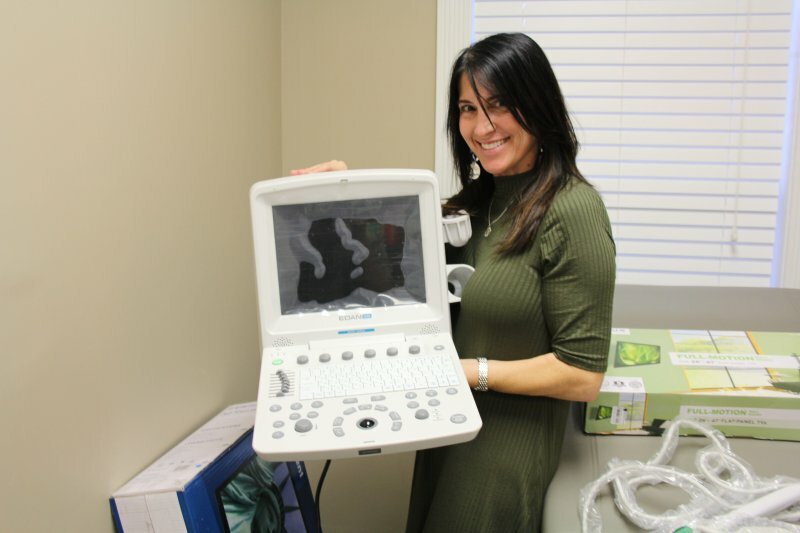 If refurbished ultrasound equipment is being considered, ask the vendor if they have the ability to run diagnostics or troubleshoot. When you have to buy ultrasound machine parts, consider if the consumables and parts are easily available. In case the consumables are too expensive or scarcely available, there is no point buying the machine from that manufacturer. Also, in case the company has no spare parts policy or the parts are very expensive, then it is best to look for affordable alternatives. Make sure that the basic parts like monitors, upper control panel, power supplies, casters, keyboards, panels, keys and buttons are readily available. Your diligence and research when buying any ultrasound machine will help you save money and find the best ultrasound machine in the market. We provide portable ultrasound machines from reputable brands like Edan, Sonosite, Toshiba, Philips, Siemens, Mindray, GE and Sonoscape. We will understand your needs and budget and accordingly make suggestions and guide you to take the right decision. Our aim is to provide customer service oriented services thus we will always ensure that your queries and problems are addressed as soon as possible. Our team of experts with professional knowledge and skill set will address the issues and ensure smooth functioning of the machine to ensure well-being of the patients.